Please note! 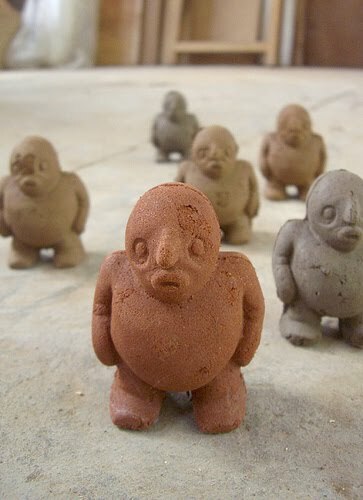 We are looking for a Rabbi to create a Golem: an anthropomorphic being created from intimate matter from Jewish folk-lore, NOT Gollum: a former Hobbit turned into monster and looking for “precious”. This is important! We have no interest in living with Gollum. We want a Golem. Please respond, serious inquiry only. This is seriously hilarious. Love the fact that they're not willing to pay. Wow. You can find ANYTHING on the internets! Golems and dark Talmudic arts? That's better than Klingon Wicca! This. Freaking. Made. My. Day. My sister said, “Some people have too much time on their hands” but I thought it was hilarious! Sad. Good thing I posted all the details on the blog. This is too funny! Too bad Craig's List took the original down! Thanks for including the details. It's not to be missed! I love the part about wanting a Golum and not Gollum. LOL! Though, actually, it would be nice to have some free help with the work around here. Although, from what I recall (of Golem stories) they do tend to backfire and cause more problems than they solve. But it's a nice idea! Oh and I love the photo! Was that part of the original or did you add that yourself? Either way it is perfect! They didn't have a photo. I have recently discovered Flickr!